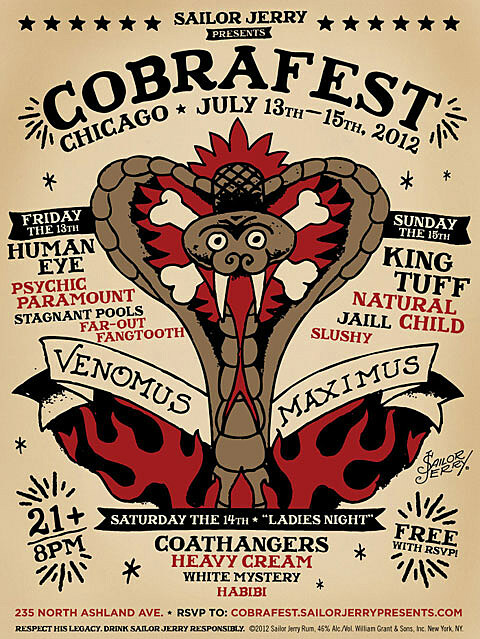 Pitchfork Fest begins today (7/13), which means so does Sailor Jerry’s annual and free Cobrafest. A couple more artists have been announced since we last spoke (that’s the updated flyer above). RSVP is still open. More King Tuff & Natural Child tour dates HERE. Another Saturday night Pitchfork Fest afterparty happens at Bottom Lounge with a DJ set from Danny Brown (and others). Not going to the fest today? Stream it online.